Wow, time passes so quickly! 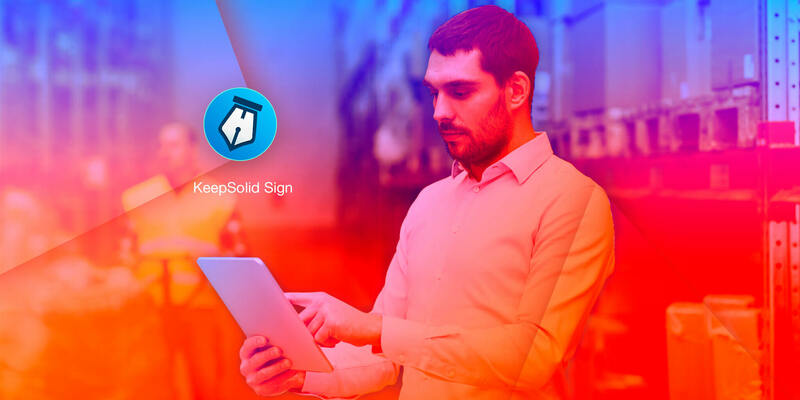 Only about 6 months ago have we officially released our brainchild, KeepSolid Sign. Throughout this period, our user base has been rapidly growing. This last week we’ve spoken with one of our satisfied clients from a logistics and transport company. He told us about his perfect transport workflow and how KeepSolid Sign helped his company to achieve it. We were really inspired by his positive feedback and decided to share this experience with you! 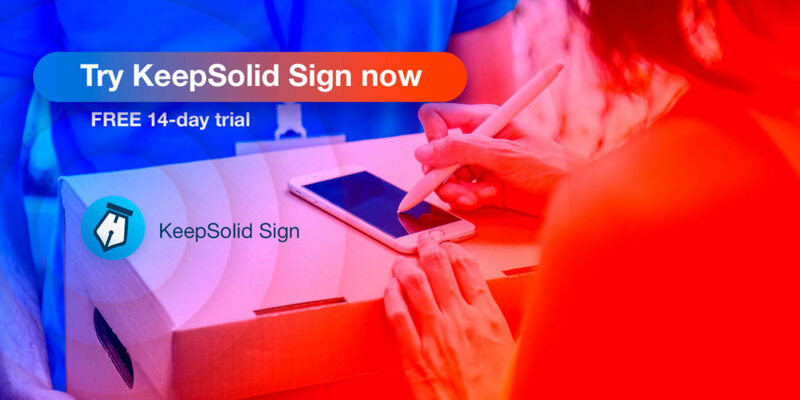 But before we start: what is KeepSolid Sign? It releases you from print-and-scan routine. It simplifies and speeds up your signing process. It helps you to manage the closing of your deals both online and offline. It allows you to swiftly collaborate with your partners and team members. It protects your documents with high-tech encryption protocols. So, our customer is a big transport and logistics company with 70 drivers. This organization delivers the products all over the US, and the drivers make about 50 stops in their trip sheet. A single trip lasts a week, on average. Moreover, for each customer drivers have a number of documents like POD (proof of delivery) to sign. The signing of these documents is mandatory. And keep in mind, this is not one sheet of paper, it is a bundle of documents where the client has to put their signature in lots of different places. Now multiply this bundle by 50 stops. But let’s face it, drivers are not the most accurate people. And in this case their carelessness used to cause a number of issues. Drivers would lose some documents. Drivers could accidentally spoil papers by spilling coffee or whatnot. Sometimes, drivers simply wouldn’t have clients to sign in every required space. It has to be easy-to-use and intuitive for drivers. It has to release them from huge amounts of paper. It has to allow managing the document signing in real time. The heads of the company solved this problem by implementing Android tablets and KeepSolid Sign. Now every driver has a device with our eSignature tool implemented in it. A manager from the main office electronically sorts the necessary documents by folders right in the app. Every folder is intended for a specific client. After sorting, manager annotates the fields for signing and sends them to the driver’s device. When the driver delivers the package, they pick the folder named after the customer’s surname and open documents one by one. The annotations show the right places to fill in. When the documents are signed, the driver clicks Send button. The aforementioned stages help managers to monitor the signing process in real time. As a result, they can ensure that all of the documents are signed in the right places by the right customers in its entirety. We are pleased and honored to know that our product helps our partners to achieve their ideal workflow.